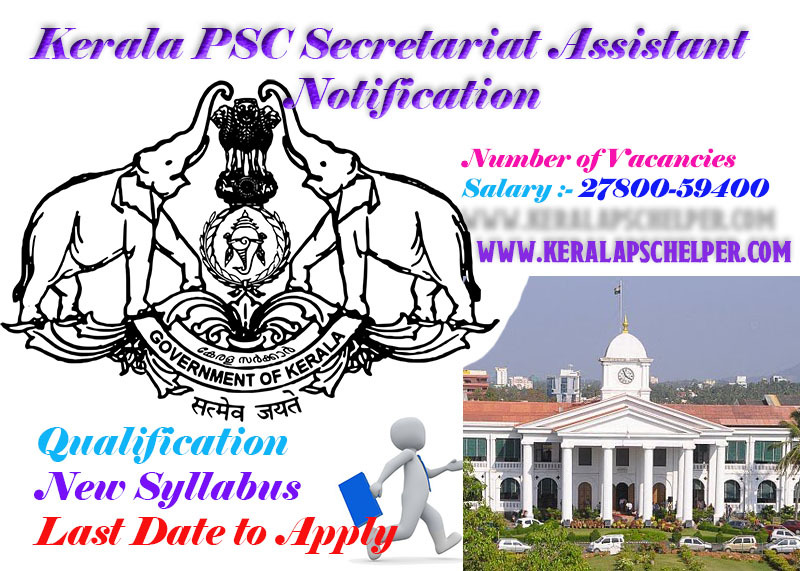 Kerala Psc has invited fresh applications for Secretariat Assistant post in Government Secretariat / Kerala Public Service Commission / Advocate General's Office (Ernakulam) /Local Fund Audit Department/ Office of the Vigilance Tribunal (Thiruvananthapuram)/Special Judges and Enquiry Commissioner Office (Thrissur, Thiruvananthapuram) departments. All the applicants are requested to submit their applications online through their registered psc accounts. If you are new to psc one time registration procedure, please go through..
Must possess B.A or B.Sc or B.Com Degree of any recognized University or equivalent qualification.